An exhibit about the life and music of Tupac Shakur is on display at the Grammy Museum in Downtown L.A., called “All Eyez on Me: The Writings of Tupac Shakur.” The space reserved for Shakur showcases some of his own studio notes, handwritten lyrics, outfits, and music. Shakur, who was he was shot and killed in 1996 at age 25, changed hip hop through powerful song writing. Can I get a lane? More than 200 people took to their bikes for the Ride to Love. Lowriders, fixies, and three wheelers all shared the road Saturday during the bike Ride for Love in Watts. 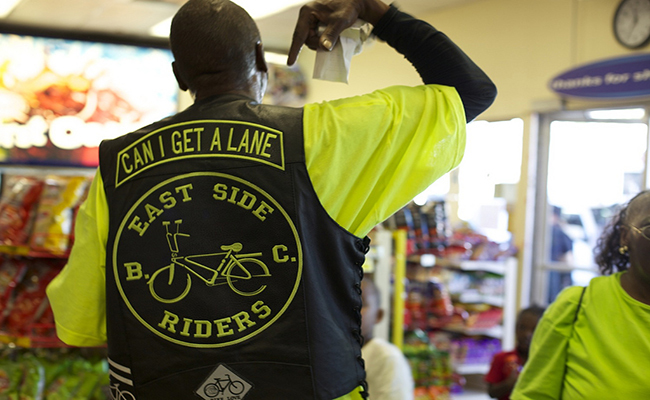 It was “a time to be free in your community,” said Fred Buggs, President of the East Side Riders Bike Club. More than 200 cyclists of all ages cruised from Ted Watkins Park to the Watts Towers, resting at a few notable intersections and pit stops along the way. The event was organized by East Side Riders, Los Riders, United Riders bicycle clubs, and C.I.C.L.E working in collaboration. Monte Hayes,71, had only to walk down the street from his home to check out the Taste of Soul festival for the very first time. “To me it means, all people of all races are here and it’s like, ‘taste me, I’m good,’” he said. 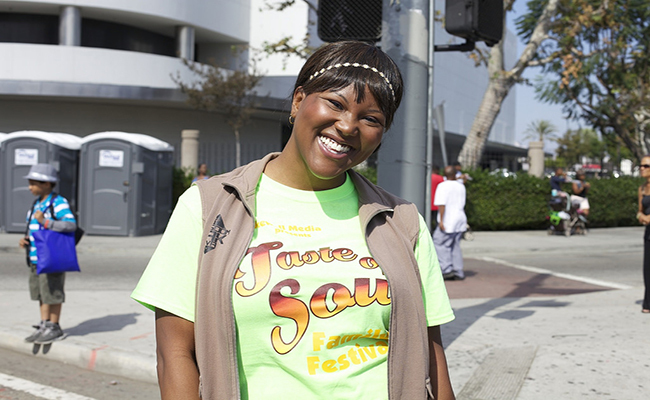 The 9th annual celebration was held Saturday from 10 a.m. to 7 p.m. and took over a mile of Crenshaw Boulevard from Stocker Avenue to Rodeo Road, where families and friends from all walks of life danced in the street. Attracting 350,000 people this year, the street festival presented by The Sentinel newspaper bills itself as L.A.’s largest. Signature South L.A. restaurants provided the “tastes,” including What the Funnel, Dulan’s on Crenshaw, Southern Girl Desserts, Post and Beam and Yo Halal’s popcorn. At ease behind a desk in the conference room of his Crenshaw district office, Councilman Bernard Parks sat down recently with Intersections South LA, in shirtsleeves and a tie, surrounded by poster-sized District Eight maps from yesteryear and took stock of his career and legacy of service in Los Angeles. In July of next year, Parks’ third and final City Council term will come to a close, marking five decades that he has served the City of Los Angeles. 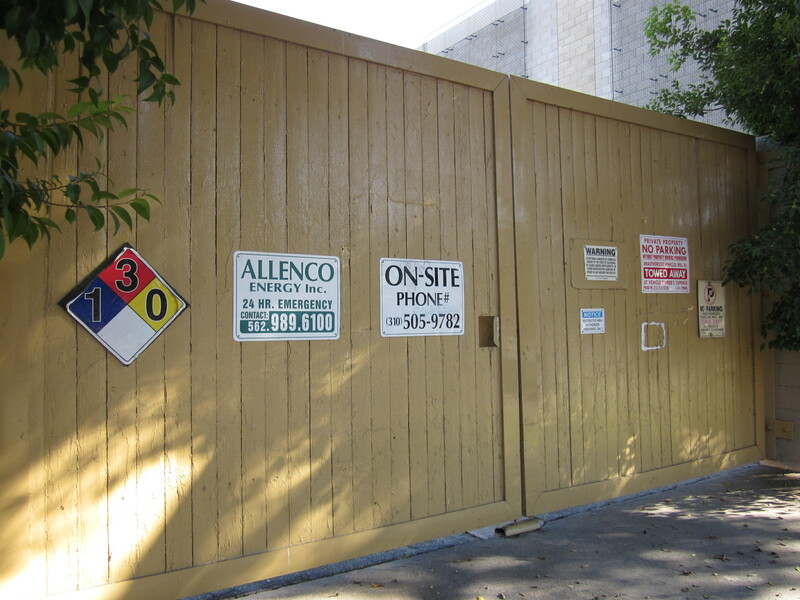 The Environmental Protection Agency announced an agreement with the Allenco Energy Inc. Friday that will cost the South L.A. oil production facility $700,000 for site improvements after it was found to be in violation of industry standards and receiving hundreds of residential complaints. This deal is a result of an EPA investigation that uncovered several health and safety violations. The wellness and diabetes group from the Martin Luther King Jr. Outpatient Center has climbed on board to take part in celebrity chef Jamie Oliver’s food revolution. 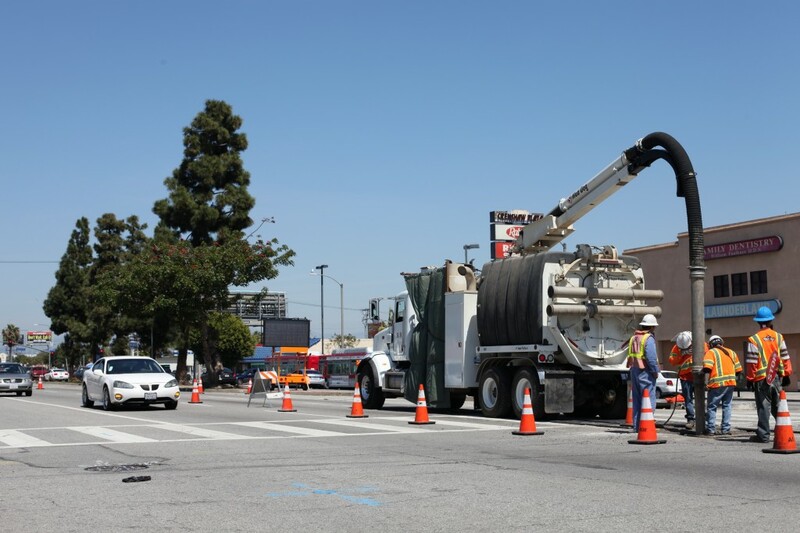 Construction for the new metro rail line on Crenshaw blvd. The new 8.5 mile Crenshaw/LAX light rail line could change the look of South L.A. by bringing an influx of businesses and pedestrian traffic. It could change the South L.A. landscape in another way, too: By cutting down about 100 trees along a two mile stretch of Crenshaw Boulevard between Exposition and 48th street to make room for the train. Romell Pace, a local who sells shirts at the corner of Crenshaw and Slauson Boulevards, said the trees need to stay. 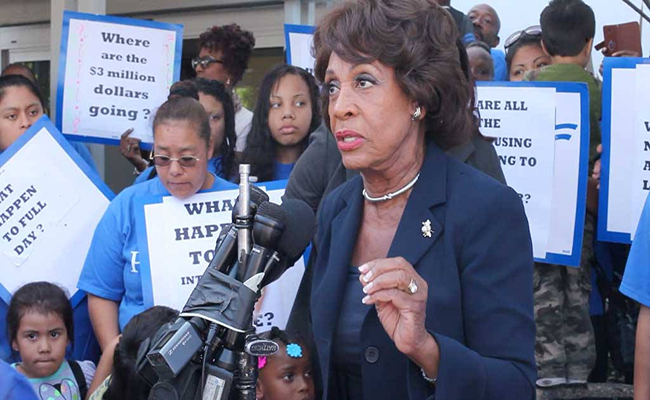 Congresswoman Maxine Waters demanded a federal investigation of the L.A. County Office of Education on Tuesday, saying the office strong-armed the CEO of Kedren Head Start to give up its contract and close about 30 centers. Kedren serves roughly 2,200 children at Head Start facilities located in South Los Angeles communities including Watts. Waters told families and press gathered outside the Board of Education meeting in Downey that LACOE forced the President of Kedren, John Griffith, to make a decision in less than two hours. What’s going on with the principal at Maya Angelou High School in South LA? Principal Yolanda Rangel was taken away from Maya Angelou Community High School in South L.A. on March 6. But what happened to her? At this point, teachers, students and parents have more questions than answers — and they are rallying to bring Rangel back. The L.A. Unified School District said her position is under review, but cannot divulge any details except to say she has not been fired or removed. Rangel began at Maya Angelou six months ago, and cultivated a reputation for bringing order to campus, and bolstering tutoring, health and fine arts programs. Parents, children, and employees gathered outside Kedren Head Start in Watts yesterday to protest Kedren’s move to pull out of L.A. County’s Head Start program, a decision that comes on the heels of news that the County is losing federal funding for the preschool program designed to aid low-income families. The L.A. County Department of Education said services will continue as usual once Children’s Institute takes over for Kedren. The two are among a couple of dozen program operators in the county. Kedren runs close to 30 centers with many in South L.A., including several in Watts alone. Keisha Woods, L.A. County’s Head Start director, said programs will still be offered for families from Watts, Burbank and South Park even thought Kedren relinquished its grant. “Every returning child…will have a space in the program as with their siblings,” said Woods. However, she said the department is still “working out” just where the sites will be and the number of students each can accommodate. Josie Calderon, a parent and vice president of Head Start’s policy council, said her biggest concern is that there will be almost 300 fewer slots for children. “Out of 727 children served here, only 450 children will be able to be served,” said Calderon. Her four-year-old son Jaden keeps busy with a variety of activities at one of Kedren’s Head Start centers in Watts. 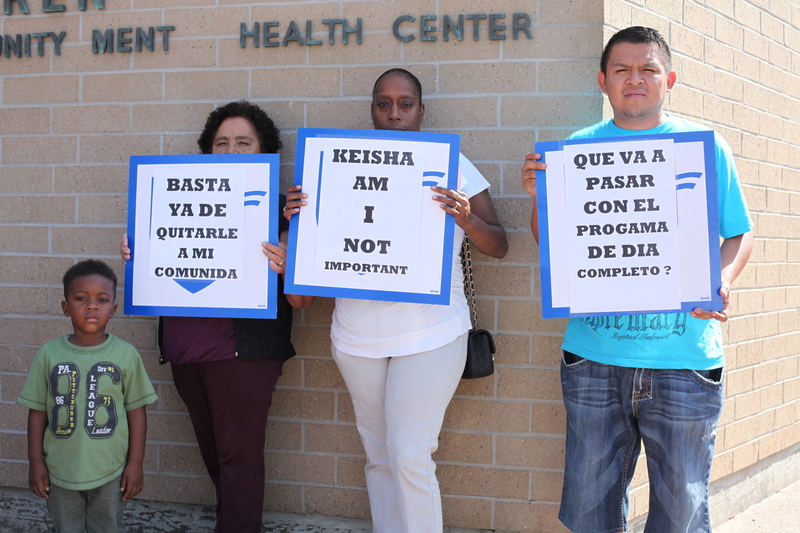 Nina Revoyr, executive vice president of Children’s Institute, said her organization is committed to keeping services in South L.A.
Kedren’s contract with L.A. County ends June 30.